Fusing together a melodic style of rapping with funk and soul-tinged samples, beats and soundscapes, Smino brings his songs together with a versatile voice, doubling, harmonising, shrieking, whispering, mumbling and announcing witty lyrics and playful alliterations in his own unique way. Exploring his past and African-American heritage, NOIR is autobiographical, unapologetic and pushes creative boundaries in bold new ways. 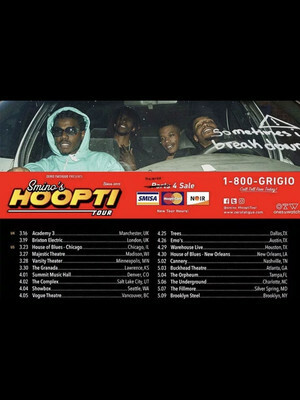 Catch Smino's as he hits the road with this fresh material on the Hoopti 2019 tour. Sound good to you? 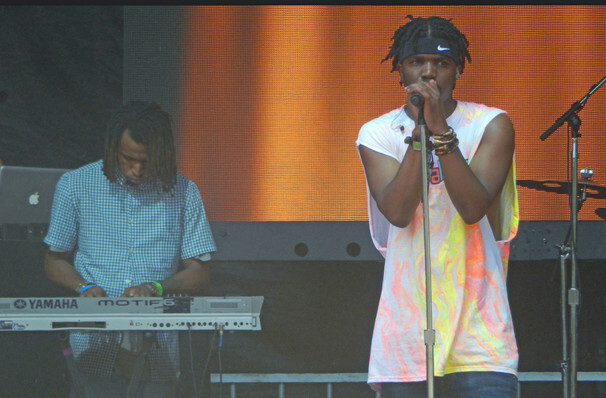 Share this page on social media and let your friends know about Smino at Showbox Theater. Please note: The term Showbox Theater and/or Smino as well as all associated graphics, logos, and/or other trademarks, tradenames or copyrights are the property of the Showbox Theater and/or Smino and are used herein for factual descriptive purposes only. We are in no way associated with or authorized by the Showbox Theater and/or Smino and neither that entity nor any of its affiliates have licensed or endorsed us to sell tickets, goods and or services in conjunction with their events.